So, you've decided to take the plunge and write a novel. Perhaps you might be wondering where to begin. Or if you are taking the plunge for a second or third or fourth time, maybe this time you've vowed to get organized ahead of time so you don't spend weeks going down fruitless plot paths. On Monday, I wrote about my own path, at times slightly tortuous, to starting another novel. Today, I'm going to share some prep tips that have worked for me when beginning a novel. But first, we have to do it. We have to face the age-old debate–is it better to actually plan a novel ahead or just plunge in and allow it to reveal itself to you, the writer? I have firm ideas about that. 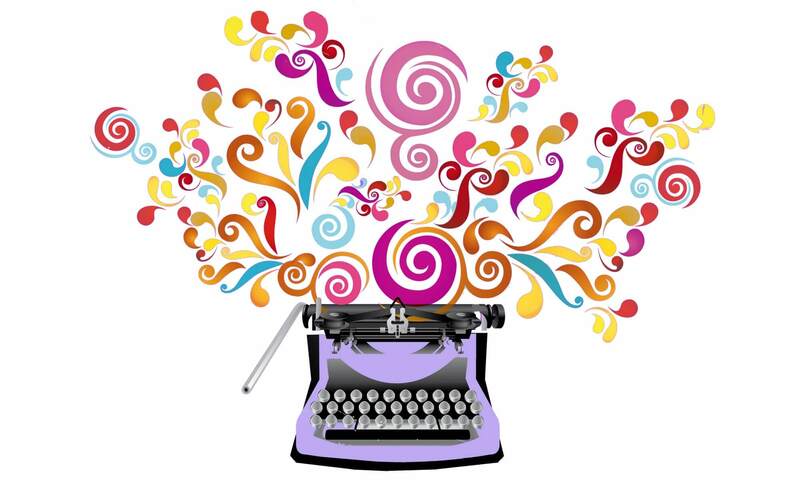 Yes, it is wonderful to allow your creativity full range and just write what you feel like. Wonderful until you realize you've written 100 pages that have nothing to do with your main storyline. Honestly, we all need a container to put our creative into, novel writers included. You're going to do much better if you have some idea where you're going. I'm the first to say it can be a loose idea, but you need to have an idea. Okay, so are you with me? Great. Today we'll discuss the things you need in your life to write a novel, and on Friday we will talk about the things you need in your brain (and on the page) to write a novel. Tools. First off, gather you up some tools. Besides the obvious computer, I like to use a spiral of some sort, smallish so you can carry it with you, as a dedicated notebook for the novel. Brilliant flashes of insight go in here, as do random notes about the topics we'll discuss below. You might also want to get a 3-ring binder, for printed manuscript pages and completed forms. And if you put things in file folders, grab a bunch of them. Accordion files can work well also. Oh yeah, and dictionaries. Or a word notebook, if you have one. The Habit of Cultivation. Novels are long. 200-300 pages long. That's a lot of pages to fill. A lot of words to write. You've got to come up with things that happen, details to make the world come alive, dialogue and thoughts for your characters. What are you going to do when you need to describe a coffee shop and your mind goes blank? This is when a habit of cultivating comes in handy. Writers need to be out in the world observing, writing down their observations or committing them to memory (bad idea, if you ask me) so that there's water to draw out of the well when you need it. Space. My first office was a desk shoved into the corner of the bedroom. That room has long since been converted to the family room, and sometimes I look at that corner and marvel at how I ever wrote there. But I did. I wrote articles for art magazines and a couple of coffee table books in that space. Doesn't matter if you write in a closet, or a corner of the kitchen. Makes a place for yourself. You'll need room to store your spiral, your binder, and your file folders and more importantly, you need the psychic space that your own place provides. Time. When are you going to write this baby? Are you going to get up early or stay up late? Are you going to write it at lunchtime or during coffee breaks? When the baby is napping? Doesn't matter when you do it, as long as you make a plan for it. Because, otherwise, it won't happen. Period. Vision Board. You can make this now or after you've done more planning of the type I'm going to discuss in the next post. But do consider making one. 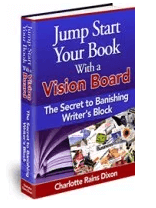 A vision board for your book can get ideas and juices running like nothing else. Download my free Ebook on this topic in the right-hand column if you feel so inclined. That's it for now. Come back Friday for the last post in this series, in which we'll discuss planning for character, setting and plot. In the meantime, what are your essential prep tools for writing a novel? Fabulous advice. I’m part of the way through my first draft and am implementing your wonderful advice! Many thanks, Charlotte! Thanks so much for stopping by, Terry. And keep us posted on your progress. You have listed so many great steps and processes to take in order to step up and start jumping in. I really enjoyed your post. Thank you. Thanks, Regina, I’m glad you enjoyed it. And more are coming so stay tuned!